Anxious to constantly improve the production steps for its products, JESA, the Swiss manufacturer and developer of ball-bearing and plastic injection solutions, has developed an assembly process that is already proving its worth. Meeting with Marcel Dubey, Director Sales & Marketing at JESA. Well-known in various market segments such as automobiles, industry, medicine, consumer goods and construction, Fribourg company JESA based at Villars-sur-Glâne and a market player for more than 40 years, is positioning itself as a supplier of innovative solutions in the market for precision ball-bearings containing engineering or hybrid polymers. JESA is responsible for all stages in the process, from design to industrialisation to production. “In the fast-growing automotive sector, for example, JESA figures in most mechanisms for Xenon headlamps and multi-directional LEDs. Together with the client, we’ve developed an integrated ball-bearing actuator which is an ideal combination of plastic and metal elements, with a landmark patent,” confides Marcel Dubey, Director Sales & Marketing at JESA. 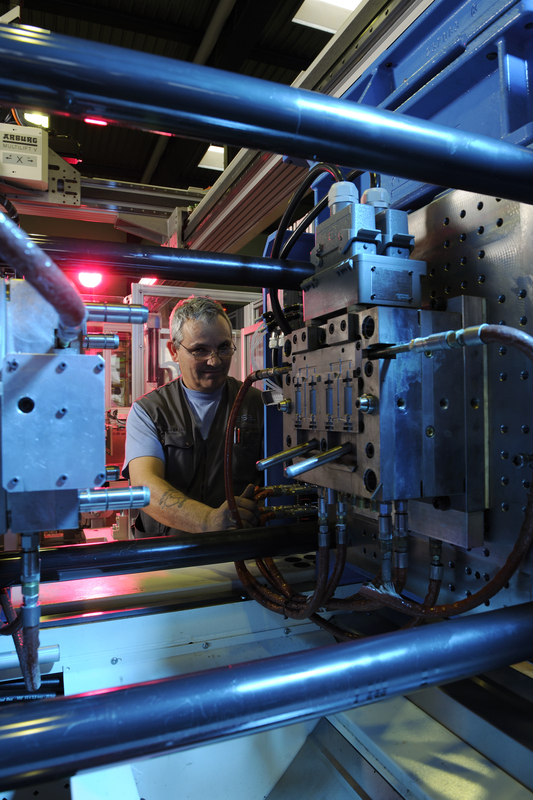 JESA has manufactured no fewer than 3 million units over the past 4 years using this fully automatic line. “The geographic proximity and tradition of innovation in Germany are the key to this success. This is especially so because our two main markets, automobiles and textiles, are very well represented there,” explains Marcel Dubey. The process gained recognition in 2012-2013 when it won the prize for innovation (SME category) of the Canton of Fribourg. Having exhibited at the Hanover Fair last April, JESA will be present at ITMA, the world’s largest fair for the textile industry, in Milan this coming November. It will present its latest innovations there.